I have used the "No Homework Binder" before and it doesn't work for me because I forget to check it and then therefore fall down on the contacting. 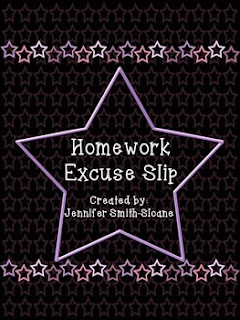 Copy these "OH NO" excuse slips on a BRIGHTLY colored PINK paper and you will never lose them. They will scream at you for them to be taken care of.